Ryan Braun, Ben Sheets and Corey Hart are in New York for the 2008 All-Star Game. Braun and fellow outfielder Hart (.289, 26 doubles, 15 home runs, 58 RBIs) are making their first All-Star appearance and Sheets will make his fourth appearance in the Midsummer Classic. And now…on to the questions! 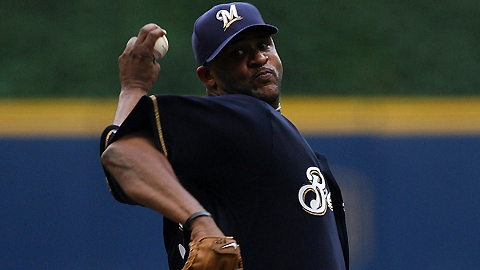 Now that the Brewers acquired CC Sabathia, do you think they will be able to sign him to a long term deal? CC will be a free agent at the end of the year and, I’m sure with the possibility of losing Ben Sheets to free agency, the Brewers would like to have at least one of them back. But it is my understanding that CC is going to test the market and once he or Sheets test the market, we will probably not see them in a Brewer uniform next year. What about Corey Hart, will the Brewers try to sign him now that he is an All-Star? 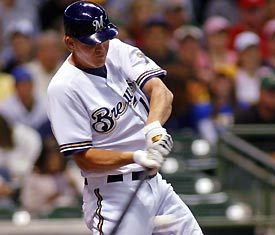 The Brewers made an offer to Corey before he was an All-Star, and he turned it down. But it was an offer just to get both sides going. I look for something to happen, not so much now, but probably in the offseason. The Brewers would certainly like to lock up Corey for 3-4 years. He continues to grow and shine as a Major League Player. The Brewers realize that they have a special player in Corey Hart and want him around for years to come. When Jeff Suppan comes back from the disabled list, is Seth McClung the odd man out? The rotation looks like this: Sheets, Sabathia, Suppan, Parra and Bush/McClung. 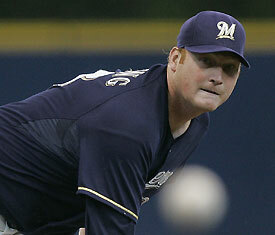 Dave Bush has pitched so well at Miller Park. Ned Yost could pitch at home and McClung on the road. Both, when not starting, could be used in the bullpen. Seth has pitched well enough to stay in the rotation and so has Bush. A lot depends on how Suppan is feeling when his time on the DL is up. Nice problem to have. fine job, but I see Bill Castro has been on the coaching staff for 17 years. Has he ever been a head pitching coachand, if not, do you think he will be? When Dave Stewart resigned in mid-August 2002, Bill was named the interim pitching coach. He did interview for the position the following year, but was retained as the bullpen coach. I believe he would be very good as a Major League Pitching coach. Bill has a wealth of knowledge and communicates very well with players. He knows about pitching mechanics and, more importantly, players trust him. The Brewers have benefited from having Bill as bullpen coach; I have no doubt that he can be a very good pitching coach if given the chance.